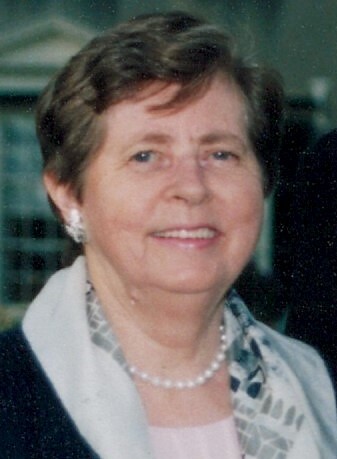 Obituary for Marion C. (Olson) Mullen | McClellan-Gariepy Funeral Home, Inc.
Greenwich-Marion C. Mullen, 90, formerly of Greenwich, passed away Saturday night, February 2, 2019 at the Center for Nursing and Rehabilitation at Hoosick Falls. Born September 13, 1928 in Cambridge, she was the daughter of the late Fred and Eva (McKane) Olson. Marion was a 1947 graduate of Greenwich High School. Marion was a homemaker and loved animals, gardening and cooking. She was a member of the Kingdom Hall of Jehovah’s Witnesses in Cambridge. Marion was also a caregiver for many elderly people in the area. In addition to her parents, she was predeceased by her husband of 59 years, James R. Mullen who passed away April 4, 2010; a brother, Fred Olson, Jr.
She is survived by her sons and their wives, David and Linda Mullen of Gansevoort and Hans and Debbie Mullen of Greenwich. A service will be at 1:00 pm Thursday, February 7, 2019 at the Gerald B.H. Solomon Saratoga National Cemetery, 200 Duell Road, Schuylerville. Memorial contributions in memory of Marion may be made to the Kingdom Hall of Jehovah’s Witnesses, 2328 State Route 22, Cambridge, NY 12816.